If you are planning to go to Trinidad for the festivities of Carnival, you need to book your rooms as soon as you can. 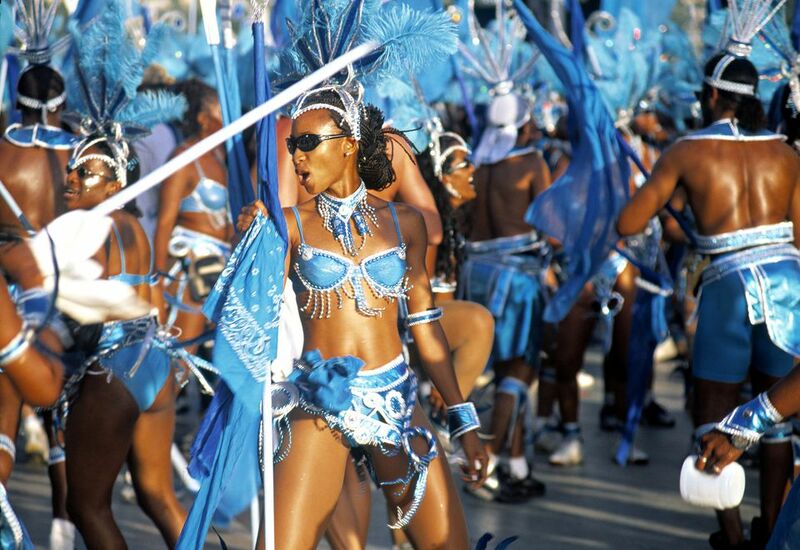 Trinidad offers one of the absolute best Caribbean carnivals. And everyone knows it. Carnival in Trinidad is a two-day festival. The dates are usually in February or March. It is a moveable feast time tied to the start of the Lenten season (ending on the Tuesday before Ash Wednesday or as it's known in New Orleans, Mardi Gras). The Port of Spain, the capital city of Trinidad and Tobago, is ground zero for the festivities and has undergone a lot of changes to promote tourism. One such improvement, the Port of Spain International Waterfront Center, is an area that has seen great revitalization since the mid-2000s as part of the government's plan to launch the country into developed country status. The opening of the Hyatt Regency Trinidad in 2008 was one giant step forward for the two-island nation. The Hyatt Regency Trinidad is widely regarded as one of the best hotels on the island. The Port of Spain hotels are the closest and most convenient to the carnival grounds. Learn more about the great hotel options available. The 428-room Hyatt Regency Trinidad is located in the Port of Spain. It is one of the most upscale, full-service hotels on the island. It includes 43,000 square feet of meeting space, a fitness center, infinity pool, spa, and business center, plus guest rooms equipped with flat-screen TVs and Wi-Fi. The views from the top of the hotel are hard to beat. Just steps away from the festivities, Port of Spain's crown jewel hotel typically offers Carnival specials. This boutique hotel is located in an upscale section of Port of Spain and is home to the gourmet-style Battimamzelle Restaurant. The posh 17-room boutique hotel offers cozy accommodations, an equipped kitchenette in each room, continental breakfast, free Wi-Fi, and a complimentary stocked mini-bar upon arrival. The hotel usually offers special rates during Carnival time. Staying here will keep you close to the shopping, entertainment, and business centers of Port of Spain. This prime destination for Port of Spain travelers for 50 years had a major makeover in 2017. The Hilton Trinidad's hilltop location affords views of the city, historic Queen's Savannah, and the Gulf of Paria. Amenities include 418 rooms, a business center, executive lounge and fitness center, two pools, tennis, and much more. This independently owned 94-room boutique hotel is located at Cotton Hill, St. Clair, close to downtown Port of Spain. It is home to the Bois Cano Bistro and Bar and the Tiki Village Restaurant, an Italian and a Polynesian/Asian eatery, which both get good reviews. Breakfast is included with all stays. Other amenities include a small pool, a modern fitness room, and meeting rooms. A big plus is the hotel’s location up the block from Queen’s Park Savannah, the epicenter of Trinidad’s Carnival celebrations and a great spot for a jog. The Kapok Hotel usually has special Carnival rates. This 119-room stylish hotel is a quick cab ride to downtown Port of Spain and is a 5-minute walk to shopping and restaurants. It is near the Hasley Crawford National Stadium, a major site for Carnival events. The hotel is ​a perfect place to stay during Carnival. The hotel usually offers special nightly Carnival rates, which include breakfast for two, based on double occupancy. This moderately priced boutique hotel in St. Ann's, near downtown Port of Spain, features 12 orchid-themed rooms that offer comfort and relaxation at an affordable price. The hotel is located near the Queen's Park Savannah, the botanical garden, a market, coffee shop, and eatery. The freshly cooked breakfast is a tasty start to the day. The rooms are spacious and clean.